Every couple of months Food Republic looks at the world of coffee and releases their “Coffee Power Rankings”. The first of these (as far as we know) was in December 2011 when Todd Carmichael, co-owner of La Colombe, was at number 9. On the list published in the following February, Todd went up to number 5 and in the most recent one up to number 2 with JP Iberti! Click the number to read the articles. 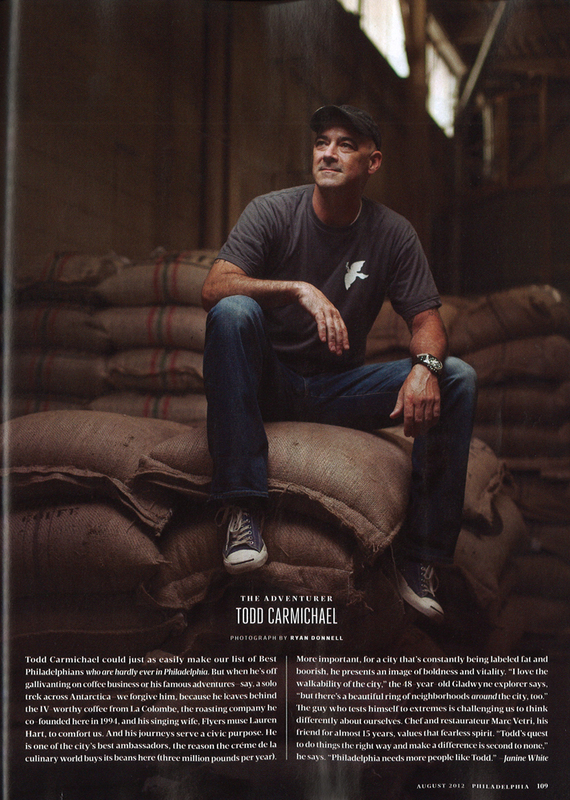 Philadelphia Magazine has selected Todd as one of the “10 Best Philadelphians” along with founder of R5 Productions Sean Agnew, Philadanco’s Joan Myers Brown, and Marcie Turney and Valerie Safran, the two women who made 13th Street what it is today. 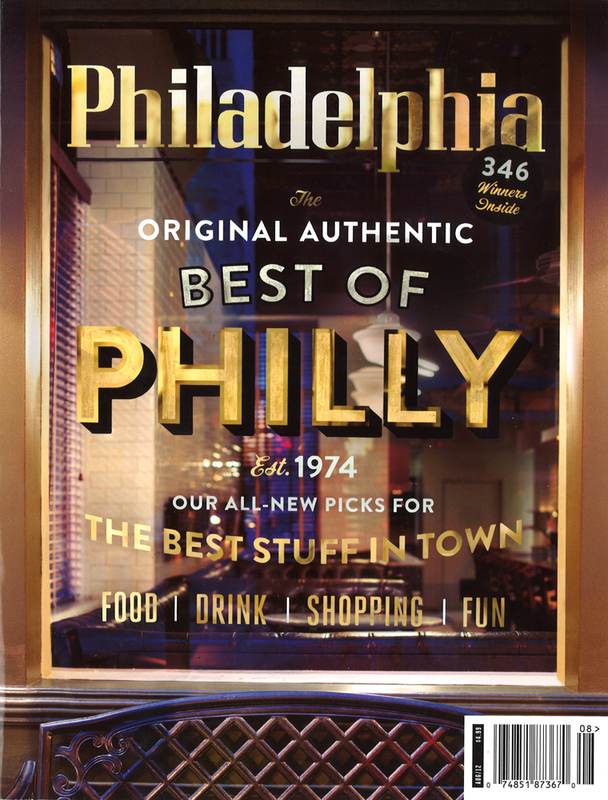 Check out the rest of the best Philadelphians here. You can also watch the making of the cover of the magazine on this video featuring our amazing sign-maker friend Gibbs Connors. Executive Leaders Radio, after doing an interview with our COO Tobin Bickley (listen to it here), awarded Todd the CEO Philanthropy Award. He has received his award this morning. Read more on the awards here.